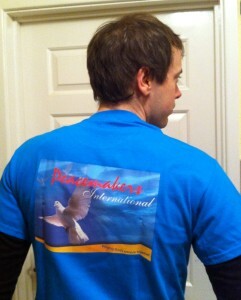 Due to ill health the Peacemakers team are a little behind with admin. tasks but the show goes on! A very big thank you to the Staff and Parents of Ardeley Village School who got together at an Easter Egg Fundraiser and have made a fantastic donation of £291.95. You can see some of the egg cosies that were made and sold below. A special thanks to Sue Jones for organising and making the event such a success. This has been a good year where money has been donated to start the construction of a restaurant project as photo’d above. 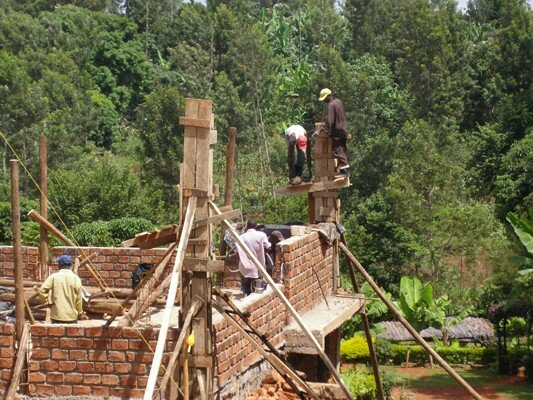 We are about 2/3 of the way into its completion and it will house a clinic, a craft activity training room and a porridge mill under the makuti roof. This work has currently stopped as money has run out and while Christine comes home for a Christmas break. Then came a different miracle – we had applied for French embassy funding and was successful. It will help us to develop existing structures to enhance lifelong and accessible learning opportunities. Full details in our next e-bulletin. We will be supported to restore and extend (more toilets) Kisimani house, which was damaged by fire in 2013. The building comprises; a study room, community library and reception room. In addition it will have an office and a Cybercafé. We are so excited about this new development in our programme. As you know the communities in Kenya are already benefiting from our many existing facilities. These include training courses, education, employment and micro enterprise opportunities, all of which have been funded through your loyal and generous support over past years. Let’s thank God for his blessings and allowing us to be part of the answer to many people’s needs. Happy Christmas and a prosperous new year to you all. Restaurant Construction is well under way with the completion of the foundations including the supporting retaining wall. The pillars, walls and ceiling have been cast and plastered plus the setting of bases for the wooden posts which have been soaked and treated prior to wrapping in tin sheet for protection. The Drainage and plumbing has begun. Chicken sheds have been made. In addition there has been work to excavate material for the tree nursery and banana plantation planned for the lower field with steps constructed for access. Funding needs in many areas continues including for a sty to house the several pigs currently on site. Chrissie would prefer them not to be in with her!! 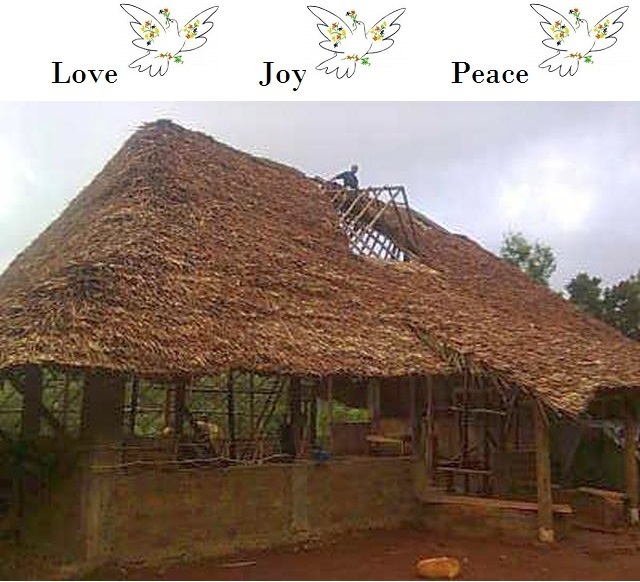 In addition we need funding for the restaurant roof (£3000) and to complete the drainage. 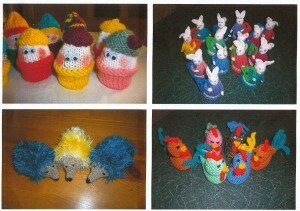 Meanwhile, Brenda’s son in Australia is currently producing and selling ‘Home Brew’ (don’t tell Fosters!) to raise £1200 for a porridge mill. The porridge or Uji is a traditional drink made from grains and enjoyed by many at all stages of its fermentation. It can be bitter and the ultimate Kenyan smoothie. With a mill it can be mass produced and marketed to schools etc. or sold on site in the proposed café. We already hire the facilities currently available but our aim is to complete these outstanding buildings and other works which will bring us closer to making the project self-supporting and to advertise it more widely. A Funding Event by the UK team is planned for Saturday 25th October. This will be a ‘Race Night’ held at St Peter’s Church Hall, Broadwater Crescent, Stevenage, with a fish & chip supper included in the ticket price of £10. There will be a raffle and the opportunity to buy tickets for any of the eight horses in each of eight races with the takings divided up amongst the winners. Please bring your own drinks + glasses. A tick order slip can be printed from here. Please reply ASAP so we have an idea of the numbers for organisation and catering purposes. The funds raised will be used to kit out the kitchen in the restaurant. 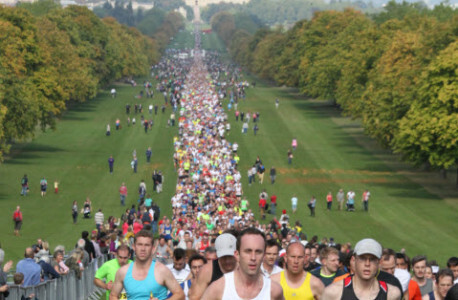 Another Sponsored Half Marathon Run by Jess Walker will take place on 28 September at Windsor to raise funds for a building to house the Porridge Mill machine. If you wish to support this please confirm to Brenda how much per mile (total 13 miles) or a one-off donation if the course is completed. Sponsor Forms are here! College sponsorship for Moses has been provided by Matt, a post graduate from Australia who visited the site earlier this year. This will enable Moses to study for his first year on a Biomedical course which will enable him to make a difference in the health and well-being of his community. Eight disabled students are currently being supported through their schooling by sponsors from the UK who have discovered their needs during visits to the Runyenjes area. They are either physically or mentally disabled and many are making good progress with some able to write touching thank you letters. There is great need for this kind of support but it can be a long term commitment and is not to be entered into lightly. The Annual Report to Links International has recently been completed by the UK committee to confirm our funding to Kenya and our proposals for the future development of the site at Runyenjes. Links International acts as our partners and administers and processes the gift aid on funds raised. Details of the report are available on request. News from the site! Chrissie is reporting great progress and a renewed enthusiasm on site and things are really beginning to run more smoothly after a number of problems last year. 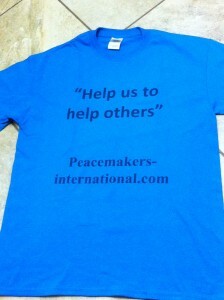 The Peacemakers Kenya Team is also fund raising at the Resource Centre on 18th October. The needs are great but the Centre is offering wonderful support and a definite community spirit is building. 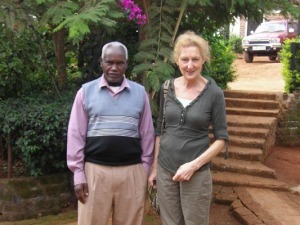 Abram, brother of Isaac who died in 2012, has become Chrissie’s right hand man and is a valuable asset around the site. He is organising a traditional ceremony to resolve his ‘dowry’ from his future wife’s family, which who knows might be anything from cash to cows! ** DON’T FORGET TO BOOK YOUR TICKETS FOR THE RACE NIGHT: Saturday 25th October at 7.00pm. Ticket Slips Can Be Printed From Here! ** DON’T FORGET TO SPONSOR THE NEXT HALF MARATHON – Please contact Brenda, Sponsor Forms can be printed from Here! Please help us to faise funds for Peacemakers work in Kenya by obtaining sponsors for Jess Walker, who’s going to complete another Sponsored half marathon run on Sunday28th September in Windsor. It’s looks like a fantastic venue for the event, see for yourselves by clicking here. Jess Walker is running for Peacemakers and will be wearing the t-shirt shown below, so that people will recognise him amongst the other competitors. A Sponsorship Form is available to download from here. 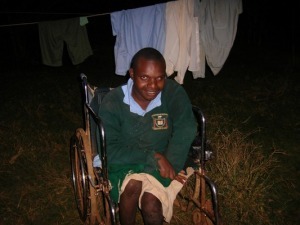 Please try and help Jess raise as much money as possible for the Kenyan Porridge Mill Building Fund. A facility which will be open to use by the local cummunity in Runyenjes, Kenya, and one which will help the resource centre become self sustaining.